Display in a sidebar, post or page the SoundEagle Appreciation Award image (scaled to any desired size) on their websites or blogs. Link the image to the web address (URL) of this article. 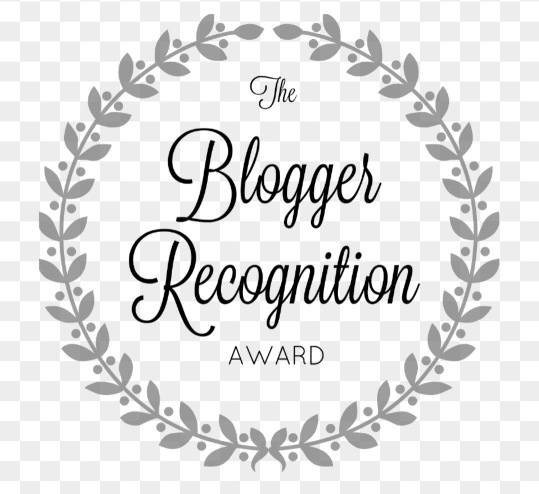 Compose a new post about the award with an “Appreciation Speech” or “Acceptance Speech”, whilst expressing any matters or issues of importance to you with additional reflections, contemplations and/or resolutions. For a good example, see SoundEagle in Best Moment Award from Moment Matters. In the new post, include a link to this article. This will automatically generate a pingback in the commenting section of this article, thus helping others to find and appreciate your award post. 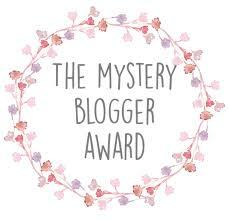 I have been nominated for “The Mystery Blogger Award” by Alicia. My sincere thank to you, dear Alice, I feel honoured to be given this award by you! Alicia’s blog is specialized on cooking. All her veggi food attracks me and surely she is a great cook in it. So please, dear blogger, who is similar interested in vegetarian food, visit Alicia’s blog and let your mouth make water 🙂 Thanks, my dear friend Alicia. 1. Since 24 years I am travelling to India, about 360 km north of Delhi. There is a place called “Kirpal Sagar – translated: Ocean of Grace” which was established by Dr. Harbhajan Singh and his wife Biji Surinder Kaur according to the instructions given by Sant Kirpal Singh, who commissioned them to build up this place. At the beginning a handful of people have started with this work. Then more and more people joined from all over the world. Understanding was born that mankind must have a place where not only spirituality can be received, but also where social help, ethical and moral teaching can be given. So a hospital was built there to help the poor and needy people to give them free treatment, medication and even operations. One can find a school there too with about 600 students, there ethical values of life are taught to have respect from man to man. All religions are peacefully under one roof three and already 2 major World-Conference were held there with poeple from different religions who all focused on love for everyone and unity of man. At this place selfless service can be carried out – not with pride, but with the heart that we are not the Doers, but that everything is done by God’s will. This place is open for the whole mankind, it belongs to whole mankind. 2. I love children (in fact I love everyone with the motto as Saints have put it: “Love the sinner, but not his sins…”) and see in them the hope in our future. 3. To help people should become a habit in our everyday life. There are so many things in our daily life in which we can practize this kind of help: we can start listening in a better way, when other people have a saying, we can help old people who have difficulties to across the street, as car driver we also can start to be more thoughtful, or when someone asks something that we do not get angry but answer in a friendly way. I have noticed that especially in bigger towns that people tend to have less patience. So when we can practize kindness, help, wherever possible, we slowly bring peace not only in us but also in others and our children will be happy to see their parents balanced and happy. Little things can be our start. In course of time they will bring a change in our life. Everything is a matter of practice and so we should not live in words, but in our deeds. 1.) What would be the perfect cooking blog for you? It would be a vegetarian blog and as I am a lacto-vegetarian, I would even dispense with all lacto means – so that in this blog all vegetarians: lacto, ovo and vegans – can be addressed to. When opening this world of fresh fruit and vegetables – we surely will be surprised what it has on offer for us. 2.) What food do you like the most? I like broccoli, coliflower, eggplant, new potatoes (in Finland the new potatoes, due to the long light have an extremely good tast – together with much dill, together with a bit salt and butter – uff very delicious – excuse me: I have made myself hungry and have to go eating… LOL), I love avokado too and pulses as well as fresh fruit. 3.) What is the most important meal of the day and why? For me it is imporatant that I take care to have enough proteins and a balanced diet. I also eat every now and then walnuts in which the veggis can find and have even omega 3. 4.) Have you ever eaten directly from the fridge, standing with the door open? Yes, I have done so and every now and then I still do it. But I would only do it when it is sure that noone else drinks for example from the bottle from which I directly drank from. 5.) Do you think it is important to observe the norms of behavior at the table and good manners? I think it matters really how we eat, where we eat, when we eat and what we eat. Our mind is very sensitive. It will show reactions when for example eat and watch a film at the same time, we speak at the table without concentrating on what and how much we eat. The place where to eat should always be clean this conveys a good fundament when eating. If something is in disorder we surely will find this disorder in ourselves. It is also necessary to eat consciously, means to chew the food long enough which helps for the digestion too and with this we can avoid that we eat too fast (in doing so we also become greedy…). When eating, while eating, with good thoughts it will have positive influence and effect to our thoughts and mind. As many from us have become fast-food eater the result is: imbalance, our mind changes the colour in all direction and we are not able to concentrate just on one thing at a time. The more we become conscious people the more more we take care of how we give food to our mind and body – done in the right way, we give also food to our soul by it. Participation is not a must – its a voluntary matter. Love and sunshine to all bloggers. 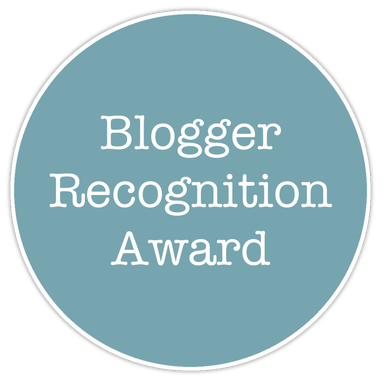 I was nominated by Alicia for “The Blogger Recognition Award” for which I am very thankful and honoured. As I am a lacto vegetarian (eating cheese, yogurt, milk-products but no eggs) I pick the raisins out of Aclicia’s blog: Everything that is related to my diet. Alicia puts much effort into her blog through photos and text. I recommend her blog for all who have a similar diet like me (lacto vegetarian and vegans) to get in touch with her lovely and surely deliciouos recipes. According to the motto: In each person there is some special value we can learn from, as each person is unique coming with own talents. When my actual blogging start began, last year in January 2017, I did not know so much about the possibilities wordpress offers to exchange opinions, experiences, thoughts and words. I came to know it when I began to blog myself becoming aware of how the exchange between people works. Then step by step I have loved this way of exchange and in this connection I could share my own experiences in forms of poems, digital art and videos as well as spiritual quotes and text of my Master Sant Kirpal Singh Ji, of Kabir, Rumi and other high spirits. Reading is like watching a glass full of juice, but we people have to drink this glass full of juice – otherwise it remains mere book-reading. When drinking the nectar of other people’s thought and ideas, it needs to be digested – then we can make the full use of it as it will add to the reservoir of our own experience (digested thoughts). Then a real exchange of thoughts and words takes place. 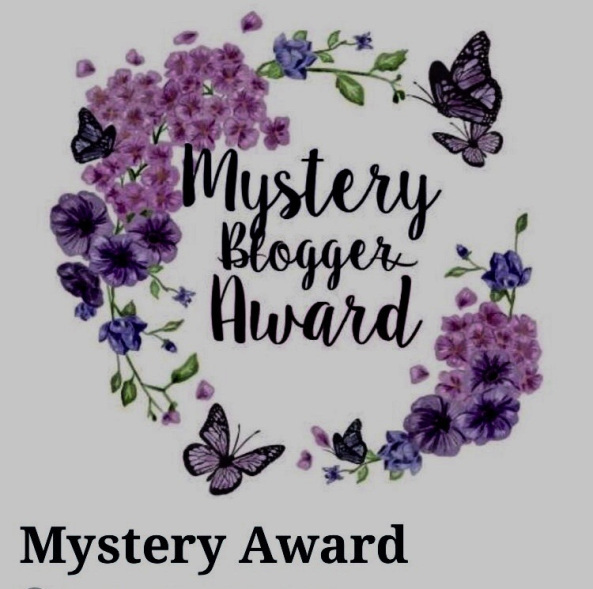 dear Michele for the nomination of the Mystery Blogger Award. Please, dear blogging friends, check out Michele’s interesting blog. Michele is a well-known French-Canadian film and television actor. 1. When I was young I used to be an enthusiastic chess-player, but did not join any club. I had much fun with this game and often played day and night whenever possible. It was the time when all chess-computers saw their light in the world. I went to a very big department store and there were the finest and best chess computers displayed. I wanted to play with one of the strongest there which was said to have had more than 2200 Elos. So I asked the seller there to play a game on the highest level, tournament level. The seller told me with a weary smile: “Sorry sir, this is rather meant for good club-players playing in a high division. I insisted nevertheless to have a try. He allowed. Then, after the 23rd or 24th move of mine I have beaten the chess computer and the seller was shocked and wanted even to know my name. The moral of this story: we should not judge a person, even when we know him or her – how often we were mistaken, because we had preconceptions. 1. What is the most moving part of blogging for you? It is to get to know what people have experienced in their life, interesting information shared, expressed feelings in poems and quotes or aphorisms, and the spiritual aspect seen from different point of views. 2. Where do you draw your inspiration from for your blog posts? Usually through my own experiences. Sometimes, when listening to calm music like classic, but also Genesis music with Peter Gabriel, suddenly inspirations are coming up from the depth of my heart. Of course, when reading the post of other bloggers, it results in giving me inspirational ideas as well sometimes. 3. Why did you choose WordPress as your blogging platform? Well, it was not really my choice I got a recommodation by a very good friend of mine to use it as a blogging platform. 4. What has surprised you most about blogging? I like the variety and endless possibilites of gaining useful information coming from all directions. 5. How has blogging enhanced your life? When I started blogging (last year in January) my intention was and is, to share the treasures of spirituality, especially which we can obtain by the the competent Masters, Sants, Teachers. I emphasize “competent” Master, because nowadays our world is full of so-called Master, Gurus, false Phrophets and Teachers – they rather have made spirituality a business-like matter. However, true spirituality should always be free as the air we breathe. Blogging enhances our life in so far that we have a communicaton fundament on which the whole world can share and exchange its thoughts and words, thereby we can learn from different cultures and ways and habits to widen our own horizont. So sharing, give and take, according what we like to read and write enriches indeed our life. 1. Where lies the main cause why people and nations have conflicts? 3. Do you think we are alone in the space? 4. Is our free will limited? 5. Does book-reading make us wiser? Thank you very much again, dear Michele, wishing you much love and peace in your heart. Credit goes also to all other bloggers, to the whole blogger family for sharing their words and thought, for writing and reading ?? 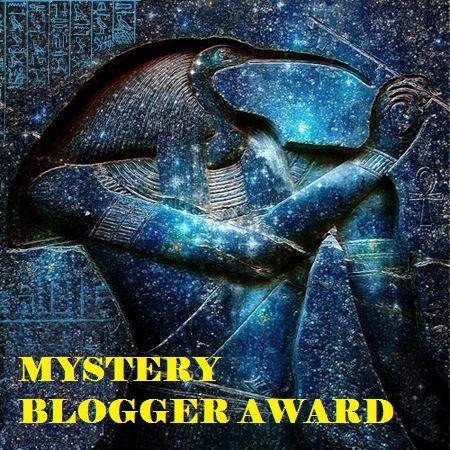 I was nominated for the Mystery Blogger Award by Anita – Thank you!